Rome is proving to be as much a hotbed of intrigue as it ever was. This Synod is frightening in that, given this day and age, so little direct information is coming from it. Yet some are doing their detective work, and some of the news is heartening, some of it not. From Rorate comes a fascinating bulletin, containing a little joy to balance its affliction. The joy is that Cardinal Burke is not the pariah some have been making him out to be. 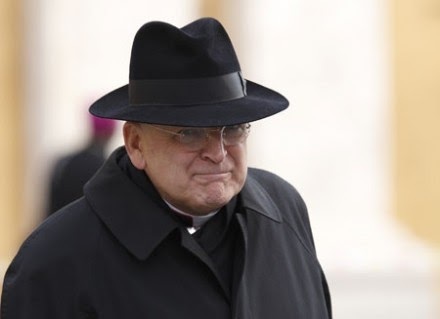 A few weeks ago came the ominous rumour that he was about to be removed from the Signatura, and thus from the Curia, and into a benign and powerless sinecure. Then some (as noted in the Rorate artcile) said his interventions at the Synod were received coldly. We cannot know for sure given the information quasi-blackout. Yet Rorate took a factual list and deduced quite soundly that he cannot be in such low esteem with the bishops given that a group of them have elected him moderator of one of the groups preparing a final submission. If this is an accurate measure of the esteem in which he is held, it will be a brave move indeed to move him out of the Curia. However, Pope Francis is not timid. Indeed it seems several very orthodox bishops have been elected to these reporting committees. Now we can see why Cardinal Kasper might want a news blackout, and why Cardinal Mueller wants every bishop’s speech published. Cardinal Mueller’s logic is quite defensible: all Catholics have the right to know what their bishops have said. But with so many orthodox, hold-the-line bishops being elected, Pope Francis’ “ad hoc, and without prior announcement” appointment of six extra prelates to help the (orthodox) Cardinal Erdö of Budapest compose the final document to be sent to the pope, we see what can not unreasonably be seen as an attempt to head off the orthodox school. Given that Cardinal Kasper regularly falls back on “I have discussed this with Pope Francis” as his defence of last resort, one could deduce with some confidence that he has had a hand in these appointments. Has Fr Z and Fr Hunwicke have pointed out, among these new appointees will be found no Africans. Three hispanics, but no Africans. 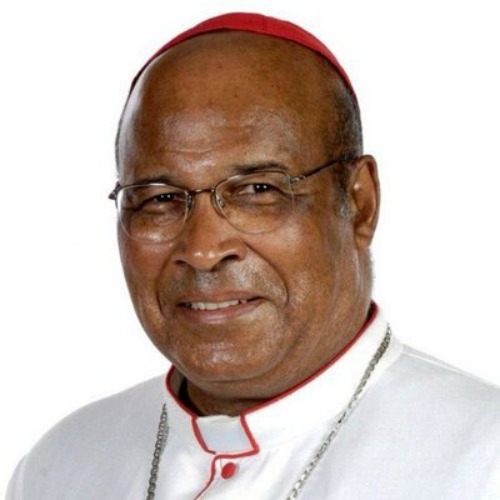 The Africans have very strong views on family and marriage in their local context, as witnessed by South African Cardinal Napier this week, and he makes some excellent points. The Africans speak boldly. They represent the fastest growing region of the Church. They are not trusted to help draft the final relatio. A pity. So Burke waxes, and transparency wanes. Let’s all stay tuned. Next Post Synodalia: What is Love? The six ‘extra’ appointments are ominous. All are modernists. They include Cardinal Wuerl, whose laissez-faire allowing of Communion to Washington politicians who support abortion has been criticized by many Catholic Americans; Archbishop Fernandez – who thinks ‘the light of Gospel truth should be seen less as a spotlight or lighthouse — which remain fixed — as a torch which is carried and moves among the people, and especially among the poor, the suffering, and the sinners.’ (ie – we needn’t take the Gospel Truth as gospel truth); and the Spanish Jesuit Superior General, Father Adolfo Nicolás Pachón, another blithe advocate of ‘mercy’ – a quality that in the terms presented apparently involves no personal disadvantage at all for the one imparting the ‘mercy’, on the contrary: the chance of increased church revenues and popular support. This shows an astonishingly cavalier papal attitude towards free speech and fair debate, and reveals a worldly, almost sinister sense of political ruthlessness. Stifling reporting of the synod debate and its committees, and then packing the final report stage with his own supporters…I wonder if Pope Francis realizes how that will go down outside the more cynical climate of Latin America. African Catholics have good hearts, but even they might well baulk at such a slight. There is by now quite sufficient evidence of this Pontificate to indicate that Pope Francis is not even-handed in the manner of his predecessors of the last 50 years, but listens to those who agree with his particular aggiornamentist agenda. Likewise, aggiornamentists are more than happy to offer their views. This latest stacking of the Fathers preparing the Synod’s Relatio is (in a word) flagrant – and extremely disconcerting. It seems obvious that the Pope doesn’t understand how such acts undermine his credibility. Sadly, it seems that the news is getting worse. I cannot bear to read beyond the first few lines. A good night’s sleep first. Father – these waters get deeper still. Someone at Rorate has rather astutely judged it unthinkable that a coherent and stylish 6,000-word text summary could be drafted and edited and published in Italian and translated simultaneously into excellent German, French, English and Spanish, all in the given space of the hours between last Friday evening and Sunday evening. c) have one of those liberal insiders (such as Abp Bruno Forte) in charge of editing the document. This is only my own inductive supposition, naturally. I realize it could look like a conspiracy theory. But I used to work for a large organization that got up to this kind of message manipulation all the time. Ah – And who ordered the pre-prepared Relatio draft that was always intended to be published, regardless of the weight and direction of episcopal opinion expressed in the closed synod? Someone very high up the chain, I would imagine. But I really have no idea. “Maybe this whole Synod affair has layers of complexity we have not yet really considered. Pope Benedict’s pre-retirement speech to the clergy of Rome comes to mind: the council of the media that ran parallel to and concurrent with the Vatican Council and which shaped what the world heard and received from the Council. The veritable information blackout might be a progressivist strategy to prevent our hearing the orthodox dissent to the agenda being promoted by the Kasperites. The unprecedented synodal mid-term report may have been a sop to the growing chorus of dissatisfaction, as well as a chance to highlight the Kasperite line in the guise of what appears to have official sanction. But this is not the 1960s, and it is impossible to control the flow of information and its speed of dissemination. In this cyber world no one has full control of information and commentary. Bishops and cardinals are putting up their hands to say that this document does not express their views, let alone the Church’s. One could speculate even further, and wonder if some officials are allowing this strategy to run precisely because it will cause a backlash. The Kasperites would have no one to blame but themselves. The boldly orthodox would have made themselves known, and the timeservers (or worse) exposed to the light of scrutiny. Cardinal Erdö pretty much shone the floodlight on Archbishop Forte at the press conference: you wrote it, so you explain it, Bruno. And now we see that those such as Cardinal Burke are not as marginalized as we have been led to believe. Indeed, cometh the hour, cometh the man.